The Convex Mirror Shop is committed to ensuring that your privacy is protected. Should we ask you to provide certain information by which you can be identified when using this website. You can then be assured that it will only be used in accordance with this privacy statement. The Convex Mirror Shop may change this policy from time to time by updating this page. You should check this page from time to time to ensure that you are happy with any changes. You may provide us with information by filling in forms on our website or by corresponding with us by phone, txt, email, or live-chat. This includes information you provide when you request product information, submit a warranty form, make purchases through our online store, enter a competition, promotion or survey and when you report a problem with our site or products. The personal information you provide may include your name, address, email address, phone number, billing information and other information relevant to customer enquiries, warranties and purchases. To complete any transactions you are undertaking with us. Where we have a legal obligation to retain transaction records that are required by law..
We will only send you marketing or promotional information of you specifically ask for it by email, phone or mail or if you consent to receiving this information by checking opt-in checkboxes on our website. We may use the information to customise the website according to your interests and feedback. Please be reassured that we will not release your information to third parties unless you have requested us to do so, or we are required to do so by law. If you purchase a product from us, your card and other payment information is not held by us, it is collected by our third party payment processors, who specialise in the secure online capture and processing of credit/debit card transactions. We use third party online forms through Jotforms to process information on our behalf for our 5 Year Product Warranty Form. These companies do not retain, share, store or use personally identifiable information for any other purpose. We only use your email through our internal group of partner companies and never sell this to any third parties. When you enter personal information through our checkout page to make a purchase, we encrypt that information using secure socket layer technology (SSL). We use a third party credit card processing company to bill you if you purchase with Visa or Mastercard. We do not store any of this information on our website or servers. Please note, sending personal information via the internet is never completely secure and on occasion such information can be intercepted. We cannot guarantee the security of data that you choose to send us electronically. Sending your personal information is entirely at your own risk. If you have any questions about security on our site, please contact us during business hours by phoning 021 0338714 or through our Contact Us page. We will not sell, distribute or lease your personal information to third parties unless we are required by law. We may use your personal information to send you promotional information if you tell us that you wish this to happen. Billing information is retained for a period of 7 years as of the provision to Bennett Mirror Technologies in accordance with New Zealand accounting and taxation laws. 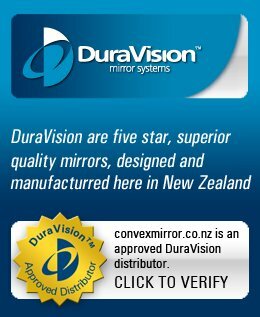 DuraVision 5 Year Warranty submissions are kept for a period of 5 years to quickly identify claims, disputes and for product research purposes. You have the right to ask us not to process your personal information for marketing purposes. You can exercise your right to prevent such processing by checking or unchecking certain boxes on the forms we use to collect your data. You can also exercise this right at any time by phoning us at 021 0338714. Request access to information that CMSNZ has about you. Correct any information that CMSNZ has about you. Delete information that CMSNZ has about you.